Depression is tough to treat. Could a blood test unlock the mystery? Depression is the most common mood disorder, yet its origins and most effective treatments are often elusive. A new study suggests that low levels of a single compound in blood correlate with depression. This novel biomarker may open doors to new treatment options, especially for those who do not respond to existing antidepressants. To diagnose depression, clinicians listen for the familiar symptoms: melancholy, lack of interest, appetite and sleep changes, even inexplicable bodily pain. But, "in terms of treatment, we have our limitations," said Mary Morrison, internist and vice chair for psychiatric research at Temple University who was not involved in the research. "A third of patients are unresponsive to [existing] treatments," she said. Even with dozens of antidepressants on the market, from Anafranil to Zyban, depression remains the leading cause of disability around the world. In a study published Monday in PNAS (Proceedings of the National Academy of Sciences), a team of scientists found that levels of acetyl-L-carnitine, a compound produced by the body that plays a role in cellular metabolism, track with the severity of depression. On average, patients who were unresponsive to antidepressants in the past had the lowest levels of acetyl-L-carnitine in their blood. Depressed women had lower levels than depressed men, an intriguing finding given that women suffer from depression at twice the rate of men. Blood was drawn from 71 New Yorkers diagnosed with major depressive disorder and 45 without the disease. Among those with depression, 53 were free from any antidepressants at the time of the study and 18 had not responded to at least two different antidepressants in the past. The team got the idea of measuring the compound from its prior research on rodents. Animals with depressive traits showed lower levels of acetyl-L-carnitine in their blood, and supplementing it seemed to quickly reduce depressive symptoms in mice. Acetyl-L-carnitine's natural role in the human body is complex and not fully understood. In addition to being a key player in metabolism, there is some evidence that it can influence the expression of certain genes in mice, including some associated with brain activity. This effect has not been directly observed in humans. The new study involving people "is descriptive, and not a treatment study," noted senior author and Stanford neuroscientist Natalie Rasgon. Much more work will be needed to prove that acetyl-L-carnitine, or compounds similar to it, can be used to treat depression in humans. Turning a promising laboratory finding into an effective antidepressant is challenging, noted Morrison. She would know. Since the late 1990s, Morrison and her team at Temple have been studying the molecular basis of psychiatric disorders and have brought several drugs to the Food and Drug Administration for clinical trial. She said the new study on acetyl-L-carnitine is promising, but it reminded her of her own research on manipulating the hormone DHEA to combat depression. Those efforts didn't pan out. Morrison recalled another clinical trial — "probably the most interesting of my career" — conducted with the pharmaceutical giant Merck. In it, the drug aprepitant, commonly used to prevent nausea caused by chemotherapy, was evaluated for its ability to treat depression. After more than a decade of development, the trial was called off in Phase III after it became clear "[aprepitant] wasn't an antidepressant," she said. "There are a lot of things in the literature that are sort of like this," Morrison said. The nice thing about the new study, Morrison conceded, is that the researchers were able to connect levels of acetyl-L-carnitine to "a lot of other things, like childhood neglect." 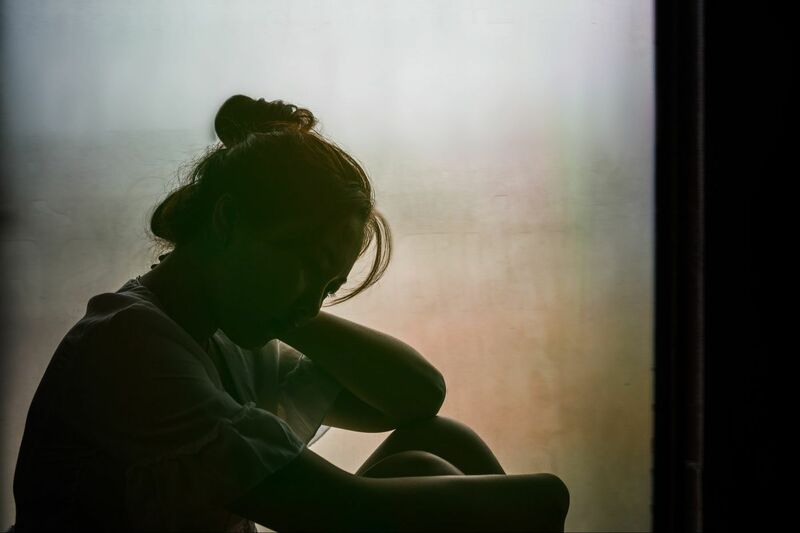 Levels of acetyl-L-carnitine could be used to predict a history of childhood trauma in patients with treatment-resistant depression, the researchers showed. "That makes it more interesting," Morrison said. How can fleeting experiences like childhood trauma affect our long-term well-being? One mechanism, known as epigenetics, involves changing the activity of our genes. The role of epigenetics in human depression is an active area of research. The authors of the new study believe they may have hit on a concrete example. The new findings "support and reflect the animal data" linking depression, experiences, and DNA, said Rasgon. "Therefore, we can say that it is an epigenetic effect." Rasgon is quick to caution that those suffering from depression should not rush out to the drugstore for supplements of acetyl-L-carnitine. "There are no two people with the same type of depression," she said. Taking over-the-counter supplements before they have been shown to work can yield convoluted and even dangerous results. Clinical trials are needed to determine what dose and duration — if any — are beneficial to human health. If the findings do end up producing a new category of antidepressants, those compounds may differ from acetyl-L-carnitine in significant ways, said Rasgon. Based on the suspected mode of action, she has hopes that such compounds will be fast-acting, unlike most currently available antidepressants. The study was conducted by scientists at Rockefeller University, Weill Cornell Medical College, the Icahn School of Medicine at Mount Sinai in New York, the Karolinska Institutet in Stockholm, Duke University, and Stanford University. When it comes to the puzzle of depression, "we have just added one piece," said Rasgon. "It's not the final piece or the only piece, but it is definitely progress."